I watched this during a lag over the weekend, mainly out of curiosity and partly because there isn't much else I'm interested in starting/continuing right now. Overall, I'm satisfied but not addicted. It's a fun drama for if you have time to kill, but is definitely not very high-quality in either acting or story. Kim Tae-Hee is gorgeous and very winning as Han Yuna, and I suspect most people are watching just for her. As they should, since this is the least she's ever annoyed me in a role (I'm probably in the minority, but personally thought she was irritatingly whiny in My Princess). As Han Yuna though, Kim is effervescent and cheerful without being an excessive crybaby. The Japanese male lead (Namiki Kohei, played by Nishijima Hidetoshi) isn't particularly good-looking or appealing. He's serviceable as the average-joe type nice guy who lands the cute actress, but isn't all that great in and of himself, and his acting is filled with exaggerated motions and OTT expressions. Together, the two's relationship is built upon a highly conventional drama framework, composed of many conveniences laid on top of one another. Thus, nothing original or special. I do love the second male lead, aka "Fried Chicken", hah. His past is so freakin' tragic yet hilarious, and part of me wants him to get the girl in order to make up for that. 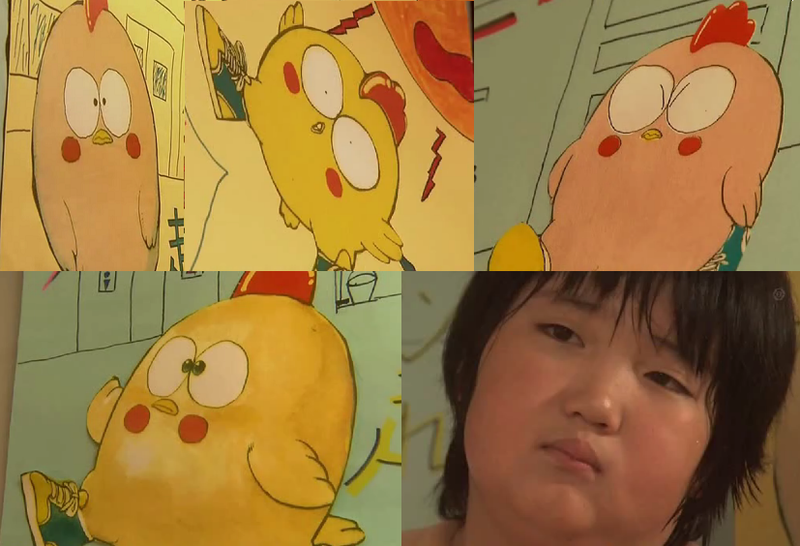 He's an adorable ditz who seems honest and still scarred by his unfortunate plump childhood. I totally understand his dislike for Kohei, the rival who always attracted the girls since they were young and continues to do so now. And just in general, I've always had a soft spot for formerly plump characters, from Ma Hye-Ri (Prosecutor Princess) to Kang Gun Woo (Romance Town). There's just something so sweet and endearing about a person who works hard to change the world's perception of them. It also induces my inner sympathy like no other. Fried chicken now- still cute! As a general qualm though, I think both he and Kohei are too old for Yuna. In the story, they're both 38 while she's 30, and they definitely look wayyy older than her. I wonder why they didn't try to make the story about her and someone closer to her own age? It's like 2 ajusshi's vying for her attention. I also find it weird how both guys are 38 yet not dating or married. An obsession with stargazing doesn't provide a very compelling excuse. I personally see nothing wrong with being older and single, but it's just a bit unrealistic and left unexplained in the show. Maybe they'll delve into it later (please no crazy exes though). 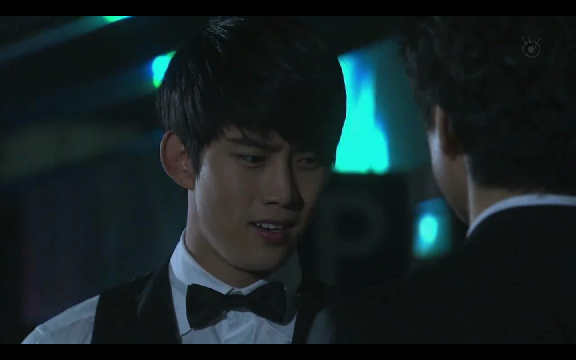 The third guy in the story, played by Taecyeon, is Taesung. In contrast to the older men, he's very attractive, but not exactly a character of substance. 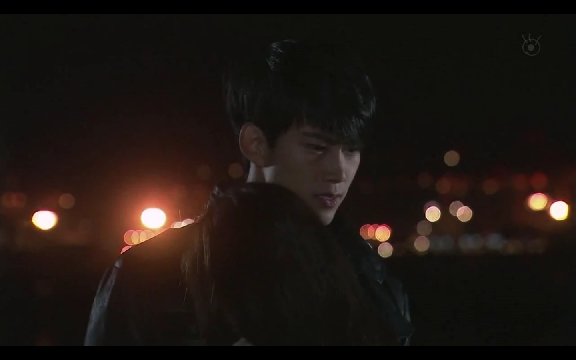 It's the typical bad boy dancer act, almost a mirror of his Dream High persona. However, he looks a whole lot better standing next to KTH than either of the two male leads, even though he plays her *Highlight for spoiler* little brother *end spoiler*. So sad! I'm all for shipping these two actors in real life now, as it's kind of sweet (though probably meaningless) how they went together to shoot a Japanese drama. And the two of them side by side is ridiculously gorgeous. I also tend to support older lady + younger guy pairs more than older guy + younger girl ones in dramas. It just appeals more (I admit I'm shallow for thoughtful young men). I'm impressed that neither KTH nor Taecyeon are dubbed in this and are instead speaking Japanese on their own. I unfortunately can't understand the language and hence don't know just how awful their accents are or aren't. However, I much prefer this to the typical Chinese/Taiwanese-dubbed dramas where someone is clearly speaking a different language with mismatching lips and voice (example: Hayate the Combat Butler, and pretty much all C-dramas). I'll likely continue watching just because I'm not really following much else aside from ITWY right now. It's cute and worthwhile for a couple laughs and envious drools at KTH's well-coordinated wardrobe and general prettiness.